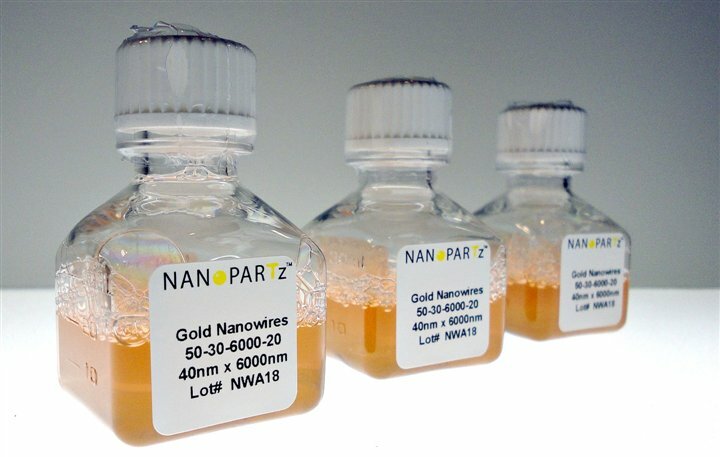 Nanopartz™ has developed the industry standard in Gold Nanowires. 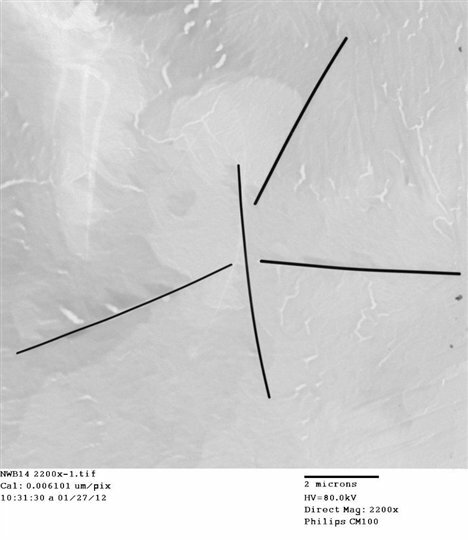 These nanowires are 75 to 100nm in diameter, and range from 1 µm to 10 microns in length. 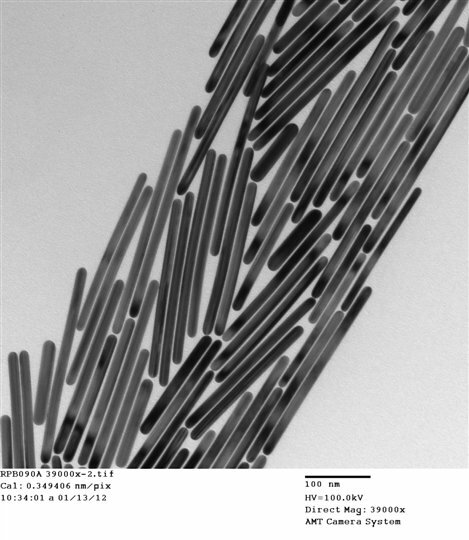 In the bare form, these nanowires are immersed in DI water with excess CTAB capping agent to minimize aggregation. 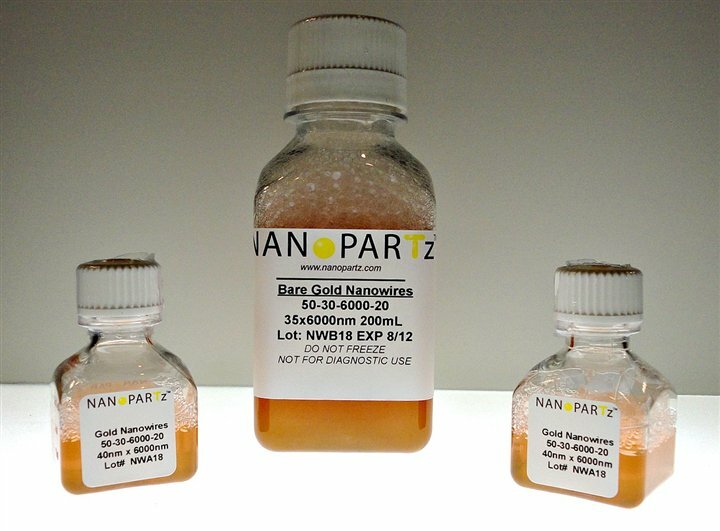 As with all of Nanopartz products, they are highly monodisperse. Hexadecyltrimethylammonium bromide (CTAB) (C16H33)N(CH3)3Br, cetyltrimethylammonium bromide. 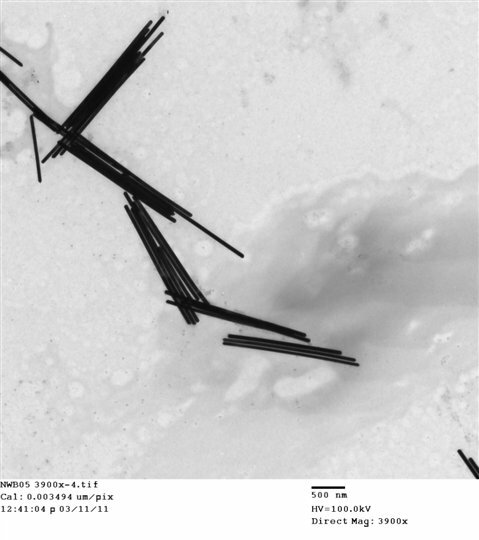 As any surfactant, it forms micelles in aqueous solutions. 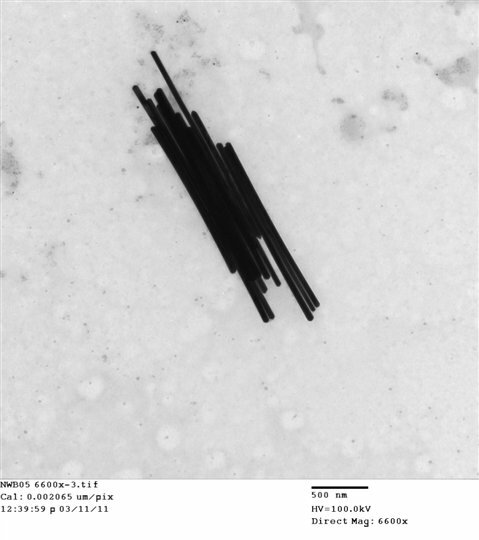 At 303 K (30 °C) it forms micelles with aggregation number 75-120 (depending on method of determination, usually average ~95) and degree of ionization α (fractional charge) 0.2–0.1 (from low to high concentration). 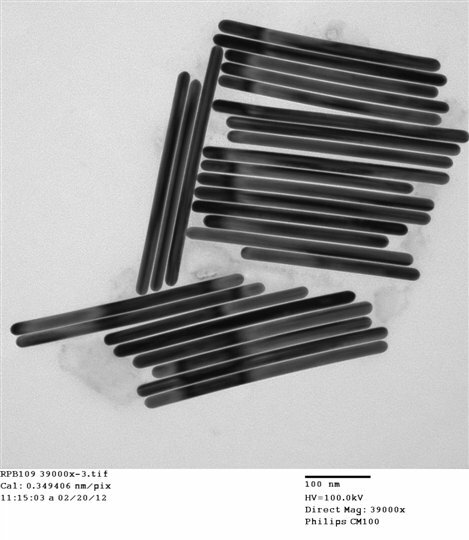 The standard constant of Br- counterion binding to the micelle at 303 K (30 °C) is K° ≈ 400. 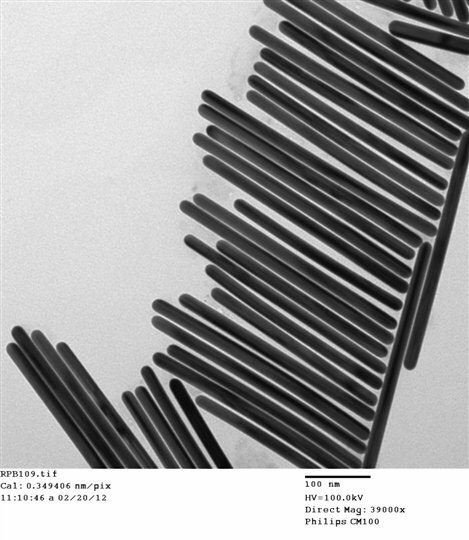 These Gold Nanowires are shipped in DI water with excess CTAB capping agent to reduce knotting. 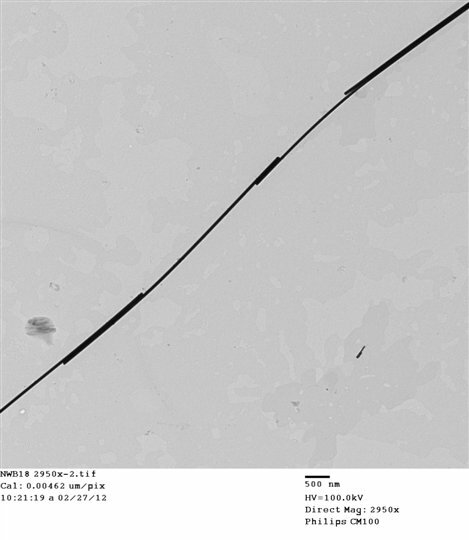 Sizes 75nm x 1 micron through 10 microns. Other sizes are special order. Please contact us. 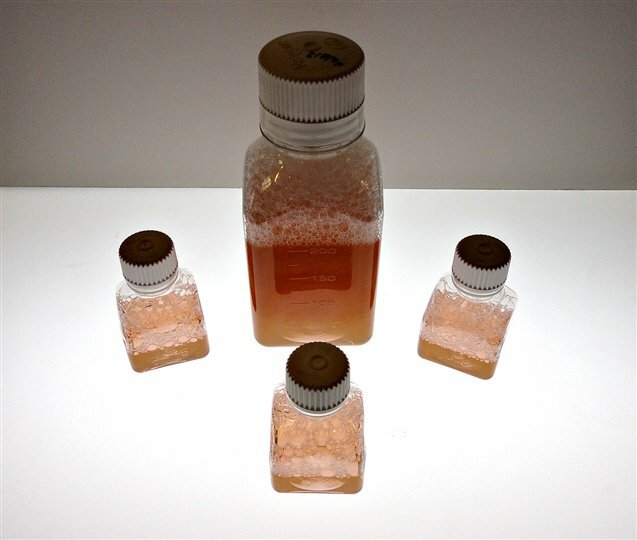 This product is sold in volumes from 5mL and 2000mL, 0.05mg/mL. This product is guaranteed for one year and should be stored at room temperature. Care must be taken to only use sterile glassware when working with this product. This product is known to be cytotoxic. This product has been sterilized and is biological free. 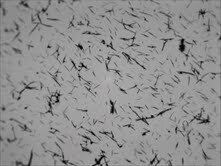 The manufacturing method for these microparticles are based on our proprietary methods. 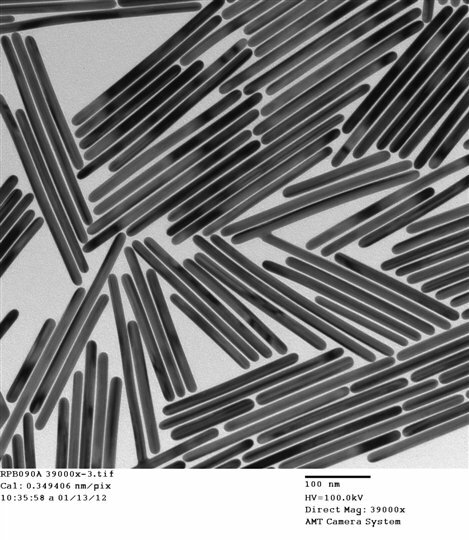 This invention allows for the manufacturing of highly monodisperse gold microparticles.Gold Nanowires are highly advantageous in nanoelectronics, transparent electrodes, and as nanosensors. 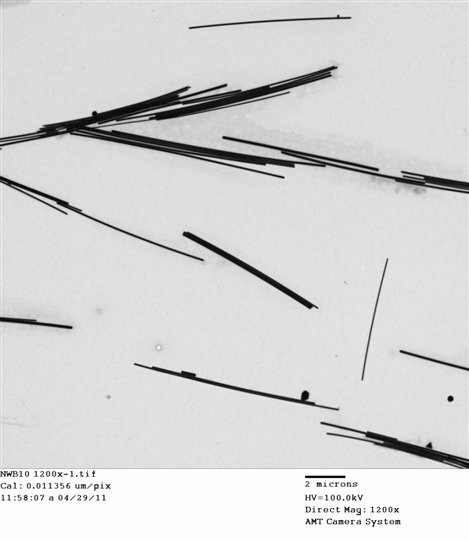 All of these "bare" particles are capped with ligands that are easily replaced with thiol and charge chemistries. 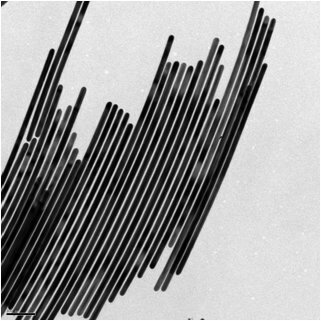 I want to use these nanowires in my sensor application - how do I go about doing that? 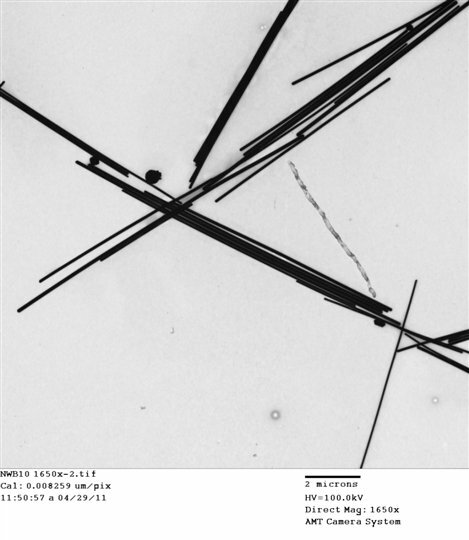 You are going to want to conjugate this nanowires to a ligand. We highly recommend our conjugating services for this. What is the SPR for this product? 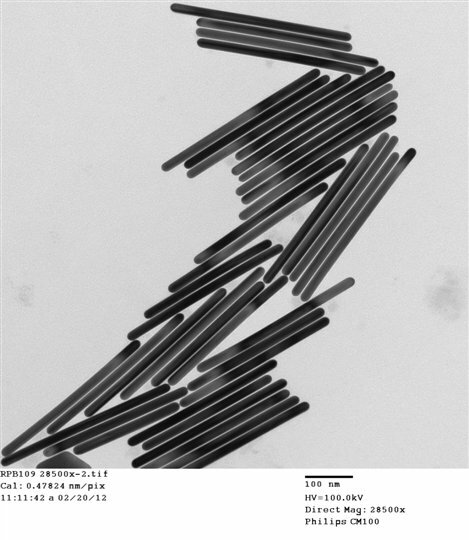 There is no Surface Plasmon Resonance for this particle as the diameter and length are too large, so these are not recommended for dark field microscopy. 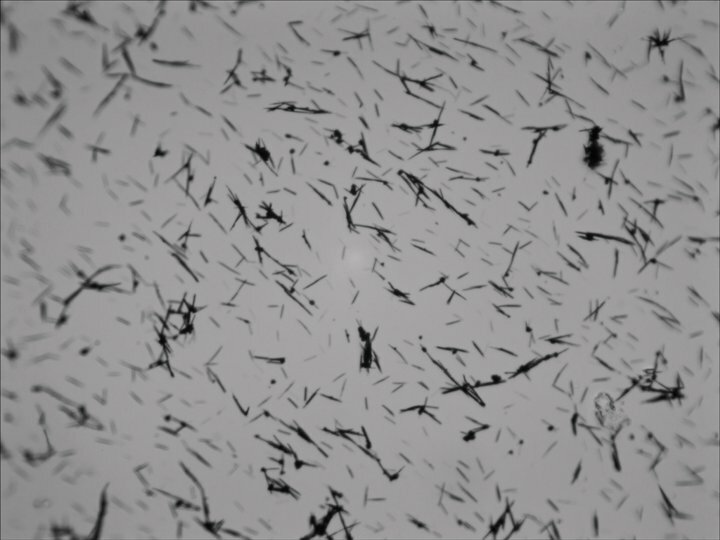 However, they are large enough to reflect light and are very advantageous for bright field microscopy. 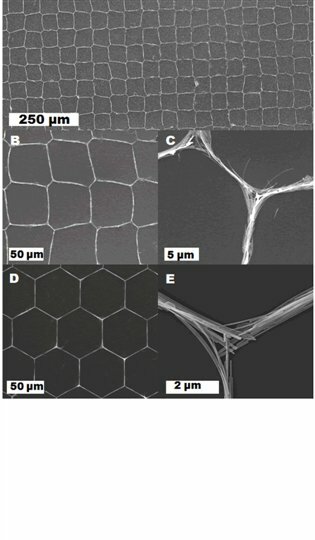 I want to use this product in polymers for transparent electrodes. Can I use them as is? "We explored several nanoparticle manufacturers because we were unable to reproduce literature results for our application. 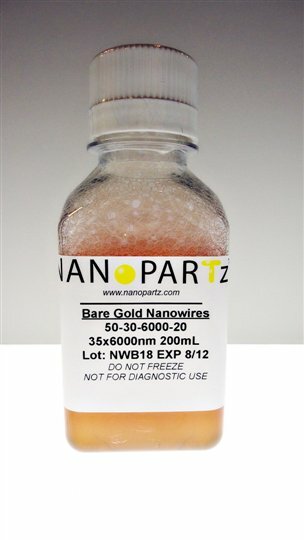 One manufacturer recommended Nanopartz because of our desire for a narrow distribution of particle sizes. 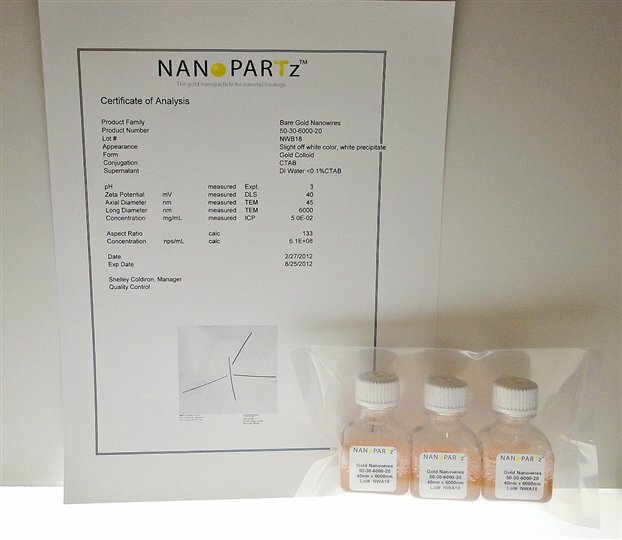 Nanopartz technical support helped us work through our application problems and suggested custom polymers that readily worked where others had failed. This really impressed us. They always provide quick delivery and helpful advice. We would highly recommend Nanopartz." ... 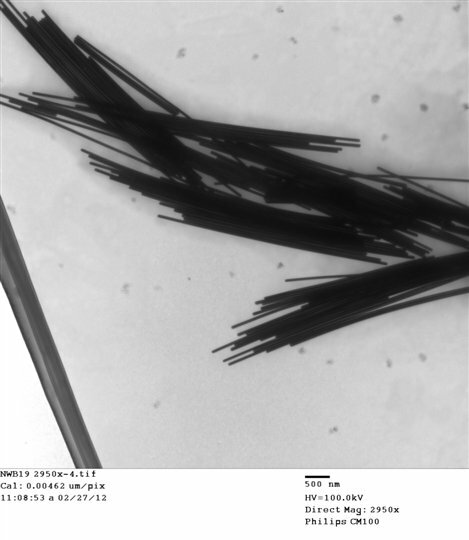 The initial growth so- lution contained gold nanorods (purchased from Nanopartz) of an ... Fig. 3. 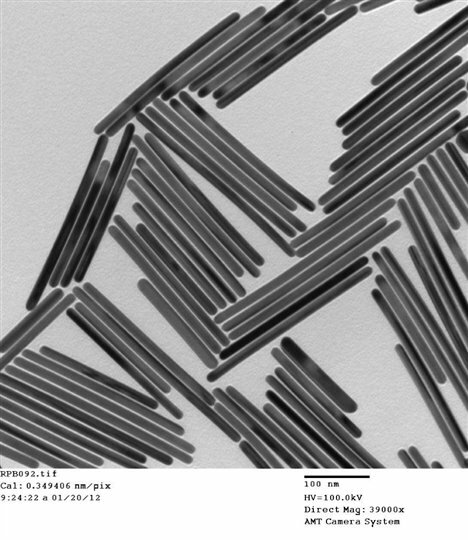 SEMICONDUCTOR ... Polarization index for various round nanowires………….55 45.